Chipotle Mexican Grill has closed 43 branches in Oregon and Washington after 17 customers were sickened by what authorities believe to be an E.coli contamination. Chipotle said the sickened customers had eaten in one of six units of the chain within the two states. Twenty-two persons in total were stricken by the virulent form of the bacteria, which has previously been traced to products like under-cooked hamburgers, spinach, tomatoes and peppers. 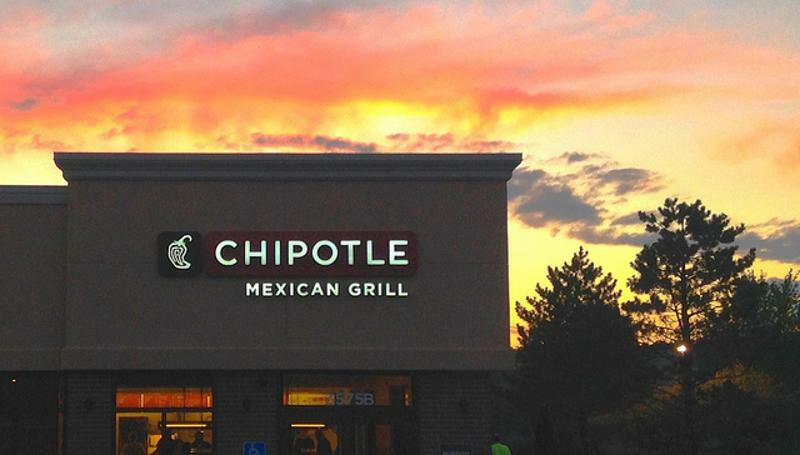 Authorities have not verified that Chipotle was the source of the outbreak, or what product they suspect was contaminated. They have neither ruled out nor suggested that other restaurants are involved. The victims tied to Chipotle ate at the chain as far back as Oct. 14, according to the Oregon Health Authority, the state's public-health agency. OHA says it expects more people might have been sickened but have not yet sought medical help. We immediately closed all of our restaurants in the area out of an abundance of caution, even though the vast majority of these restaurants have no reported problems," Chipotle spokesman Chris Arnold told the media. The chain is working with health authorities to find the source of the outbreak. It did not say how long the units might be closed.